Are local officials in Assam harassing Indian citizens because they are unable to trace illegal immigrants? Mahiruddin Ahmed, a retired Indian Army Havildar based in Assam has been accused of being an illegal immigrant. He has been asked to come and prove he is an Indian citizen by a Foreigners Tribunal in Barpeta, Assam. His wife Husainara Begum, too, has been served with a similar notice. This comes barely a month after a retired officer of the Indian Army was accused of being an illegal immigrant by a tribunal and served a notice. Speaking to Catch from his village Khablarbhita in Barepeta, Mahiruddin Ahmed says he received the notice in September. “I have since spoken to a Colonel in Kolkata and other Army Officers in Guwahati,” he says. The retired havildar has served all over the country including in Nagrota in Jammu in his 18-year stint with the Army, which ended in 2004. Ahmed’s brother Jalaluddin Ahmed worked as an Assistant Sessions’ Judge in Assam. Ahmed and Husainara will appear in front of the Foreigners Tribunal on November 6, with the documents. 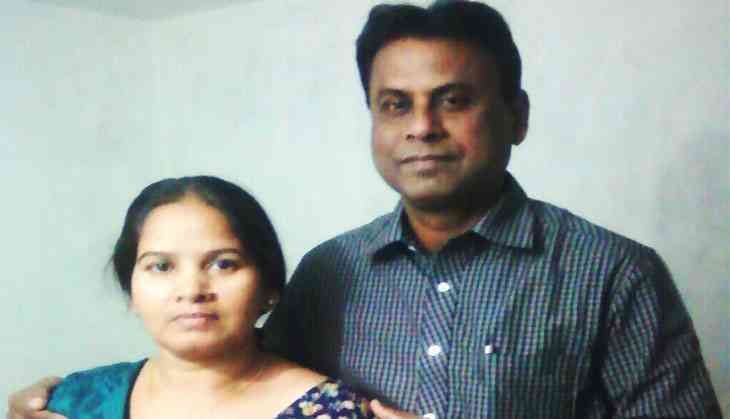 In October, after the case of Azmal Haque, the retired army officer asked to prove his citizenship came to light, the DGP of Assam Police had called it a case of mistaken identity. Authorities in Assam seem to be on an overdrive when it comes to branding Indian nationals as ‘foreigners’. Earlier this week, Catch had reported how the Foreigners Tribunal in Udalguri, set free Kismet Ali and Ashraf Ali, both residents of Udalguri district of Assam. They were set free after spending more than two years at the Goalpara jail which also doubles up as a detention camp. While Kismat Ali’s family moved to Assam from UP, Ashraf Ali’s family hails from Bihar. It was the Supreme Court ordered CBI investigation which found both Kismat and Ashraf’s assertions to be true. In many of these cases, the ordeal starts when the local verification officer submits a report suspecting individuals to be a foreigner. They are then marked as ‘D Voters’and then served a notice by the Foreigners Tribunals in the state. While in Ahmed’s case there it is likely that he will be able to prove his antecedents to the tribunal, in the case of Ashraf and Kismat, the tribunal had earlier passed an ex-parte order declaring them to be foreigners even without proper representation. But how could all of these facts and documents so easily escape the eyes of the local verification officer who suspects their credentials in the first place and marks them as D-Voters? According to Aman Wadud, a Guwahati based lawyer who has been part of many such cases, the problem lies with these local officers of the Election Commission who do not do their work properly and accuse individuals of being doubtful voters without any investigation. “When they don't find Bangladeshis, they accuse genuine Indian citizens of being Bangladeshis,” he said. Wadud further lamented that things have come to such a pass that retired officers of Indian Army, constables of Assam Police, gazetted officers, doctors, natives of UP and Bihar are being accused of being illegal immigrants. In Assam, there are over 90,000 people who have been declared as illegal immigrants over the past decades even as the state tries to put together the national register of citizenship. Even this issue has been mired in controversy. TWEET THIS After serving Indian Army for 18 years, Mahiruddin is being labeled a foreigner. Here’s what he says Are local officials in Assam harassing Indian citizens because they are unable to trace illegal immigrants?